Mites undergo incomplete metamorphosis. They hatch from eggs into six-legged larvae. They then molt and emerge as eight-legged nymphs, which molt again into an eight-legged adult. The most familiar pest mite is the red spider mite (also called two-spotted mite) Tetranychus urticae. 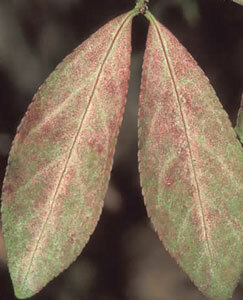 Damage to plants is seen as rust-like, mottling or speckling of leaves (as shown here). Severe infestation will cause yellowing of leaves and eventually leaves may die and fall off. 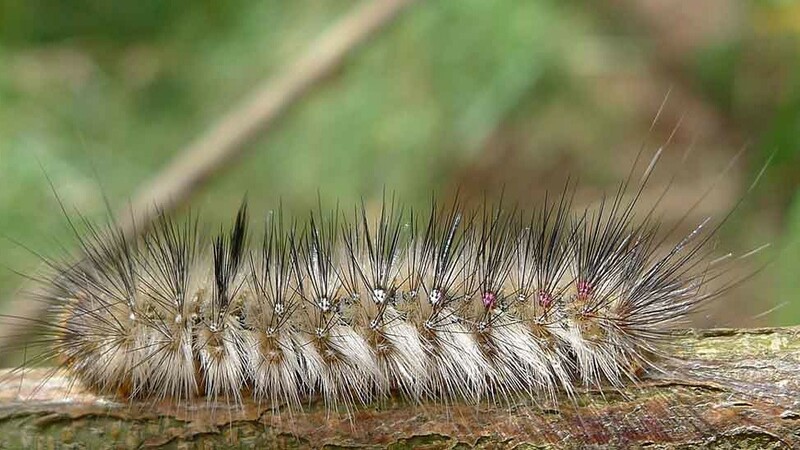 Damage can be confused with other plant pests though, so correct identification is necessary. Webbing can often be seen on leaves. Mites spread by many methods. They can crawl from plant to plant; they can be windblown, transferred by moving pots around, and even on cutting material. High temperatures during dry or humid conditions will increase mite activity. Pesticide (miticide) resistance can be a problem, so more than one miticide is usually required. And because mites tend to congregate on the under side of leaves, contact sprays are not very effective. Miticides can target specific life stages of mites too. Avoid non-selective pesticides as these will be toxic to useful predators as well. Sanitation in the home garden is the most effective control. Be vigilant and take action before mites become a severe infestation, by removing and destroying affected plant parts, avoid handling infested material or touching affected plants with clothing. Keep weeds in check as these can harbour mites. These mites actually consume other mites. 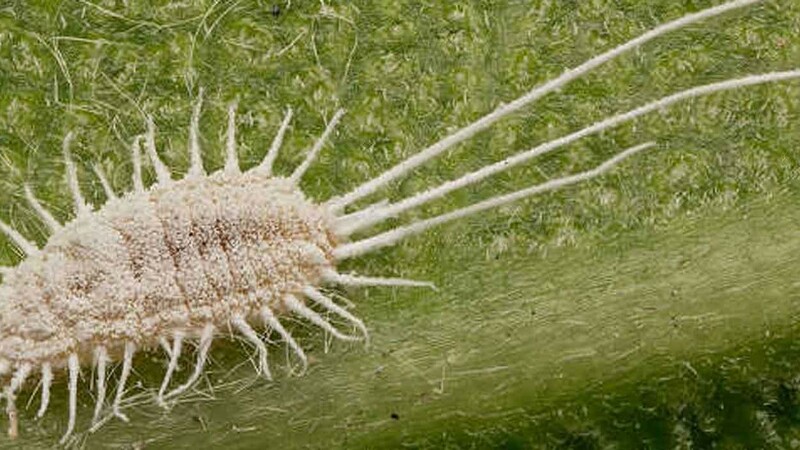 They prey on eggs, nymphs and adults and their use in the horticultural industry is now common place.